Aquia Creek Landing, Virginia, 1863. "Federal Army. 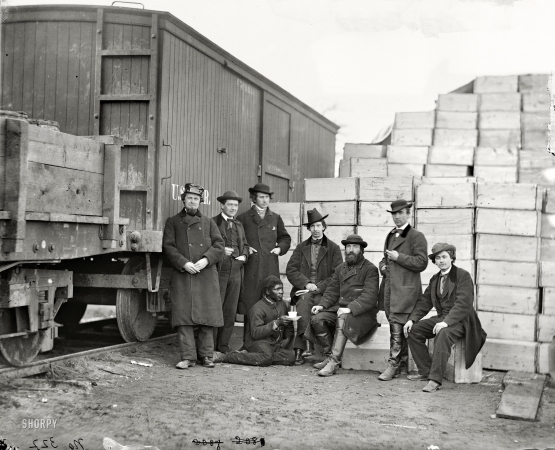 Clerks of the Commissary Depot by railroad car and packing cases."